Florida Caregivers is a family owned business striving to provide the best possible care that your loved ones deserve. We would be honored if you let our family care for yours. With over twenty years in the home health care business, the women who own and operate Florida Caregivers oversee a roster of skilled professionals who are qualified, compassionate and able to provide 24-hour personalized private duty care. Our team is in the business of making sure that you or your loved one can live happily at home as long as they wish. We understand that most people have a desire to be at home with their family, friends and belongings as long as possible and with the proper care, it is possible! Our team is dedicated to taking care of you just like we would our own family. 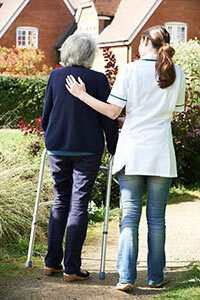 We are committed to finding the perfect caregiver to suit your needs and personality. When you call our office, you can always speak with one of the owners and an RN (Registered Nurse) is always available for any medical issues that may arise. 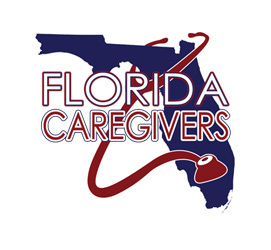 The staff and caregivers at Florida Caregivers possess a wealth of knowledge in providing individual attention to all clients, regardless of the extent of care-giving needs.